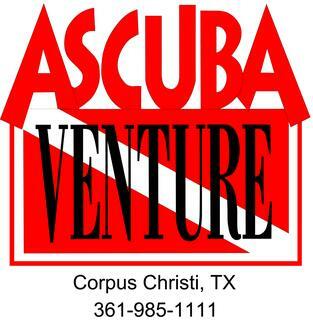 Ascuba Venture has been your one stop dive shop since 1995, providing for all your scuba diving needs. Before that we were still here, only under a separate name and different location. We are proud to be able to offer a full range of swimming, snorkeling and scuba lessons to people of all ages. It's never too late to learn and we love to teach. With classrooms and our own heated pool onsite, there is no need to wait for summer to take lessons. Our highly trained staff, dive leaders and instructors are always willing to get you taken care of year round! Don't forget the monthly events we hold! From monthly Social Nights, Dive In's, Clipper Trips, to vacations abroad several times a year, we guarantee that you will never be bored! Ascuba Venture is a professional SCUBA school committed to providing every customer with the very finest dive equipment, dive education, service and dive travel all with unequaled personal service. We are here to help you make informed purchasing decisions that enable you to attain your personal diving goals while meeting your personal financial needs. We have safe, high quality diving equipment in all price ranges. We guarantee our service, our equipment and our prices. You can shop with confidence at Ascuba Venture!